We encourage members (and others) to submit articles about their walk experiences, both here in South Australia – whether it be on the Heysen Trail or another local trail – and their walk experiences interstate or overseas. 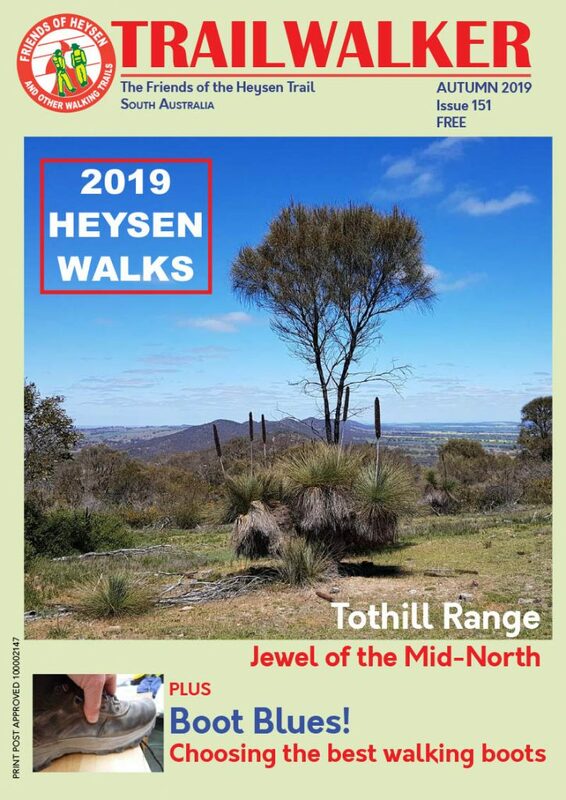 Articles, reports and other submissions should be emailed to the Trailwalker Editor at trailwalker@heysentrail.asn.au by the deadline given below. Our advertising is effective in penetrating the outdoor recreation market in South Australia, particularly amongst bushwalkers. Find out more about advertising with us.